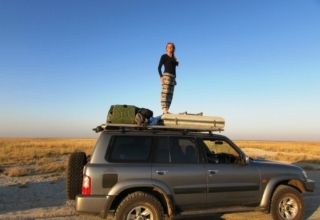 Safaris tend to focus on the so-called Big Five – lions, leopards, buffalo, rhinos, elephants – but the Ugly Five makes for a fun alternative for anyone who’s already checked off the safari stars. The statement doesn’t so much roll off my tongue as it stumbles out of my mouth as I look at the scrappy tufts of feather on the leathery head of a marabou stork. Others on the boat mutter similar sentiments. 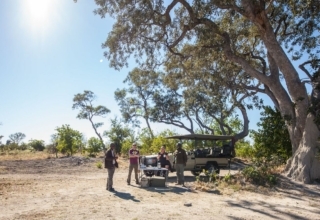 It’s one of the Ugly Five,” says Amos, our captain and guide on an afternoon safari cruise at Moremi Game Reserve in Botswana’s Okavango River Delta. His enthusiasm feels exaggerated for such a hideous bird. 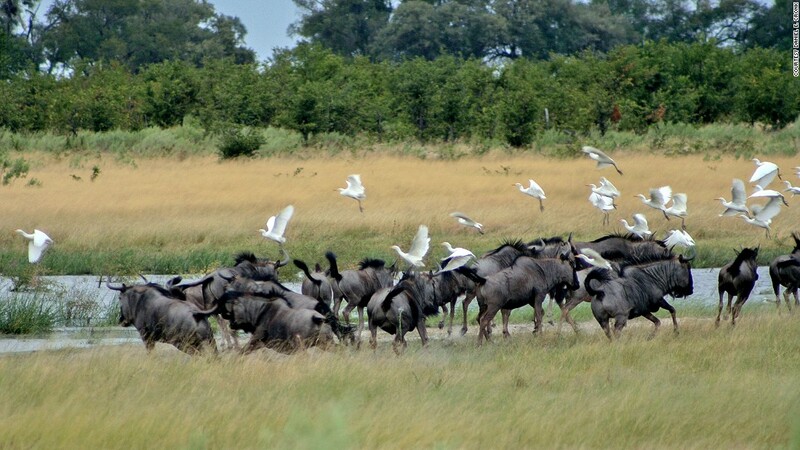 The list runs like a cast call for the “Lion King’s” least majestic animals: marabou stork, hyena, vulture, wildebeest and warthog. And we’re here to meet them all. The marabou stork doesn’t just rely on its looks — it’s also got a scent thing going down. 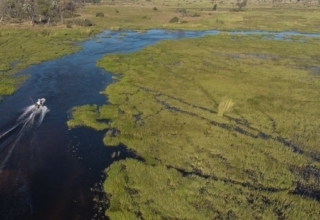 The Okavango Delta is one of two breeding grounds for the marabou stork. During mating season, the birds are known to eat live prey, including adult flamingos. The stork also goes by the name of the “undertaker bird” in recognition of the grim but important role it plays in the Delta — reducing diseases and cleaning up the ecosystem by devouring rotten carcasses. One the next morning’s bush walk, we get lucky in spotting a hyena. We’re certainly luckier than the smelly dead animal it’s devouring. “Your nose is the strongest tracker of game,” says Amos. Apparently, your ears are the second, but we’re alerted to the hyena’s presence not by its notorious cackling laugh but by the sound of the bones it’s crunching. The hyena registers low on the cuteness meter. This one couldn’t get any more ugly unless it was covered in blood. Which it is. My friend Anja, disagrees, claiming that hyenas are so unattractive they’re actually endearing. 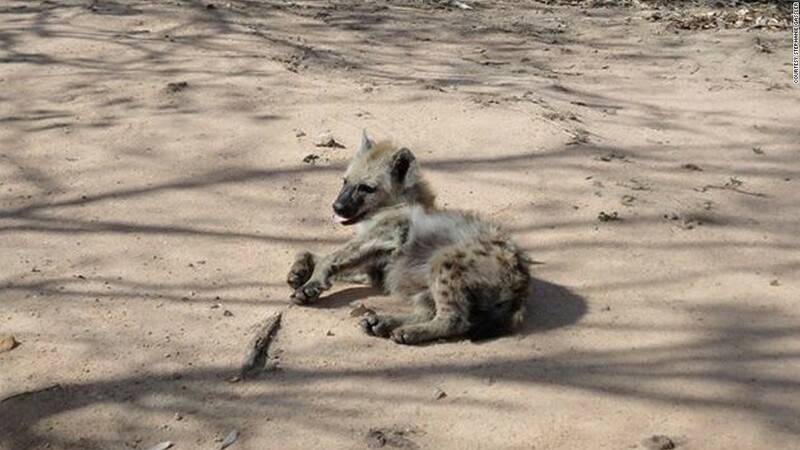 It’s debatable how cute this hyena cub is. “They’re only ugly because they’re villains in movies,” she says. Showing me a photo of a hyena cub her sister took in South Africa’s Kruger National Park, she adds, “The babies are so cute!” That’s debatable, but they certainly get uglier with age. As we’re watching, our hyena pulls its bloody face out of the carcass, revealing its elongated neck, hunched gait and dirty, scrappy fur. With one of the strongest jaws in the animal world, hyenas don’t leave much for scavengers. Even so, where there are carcasses, there are usually vultures. 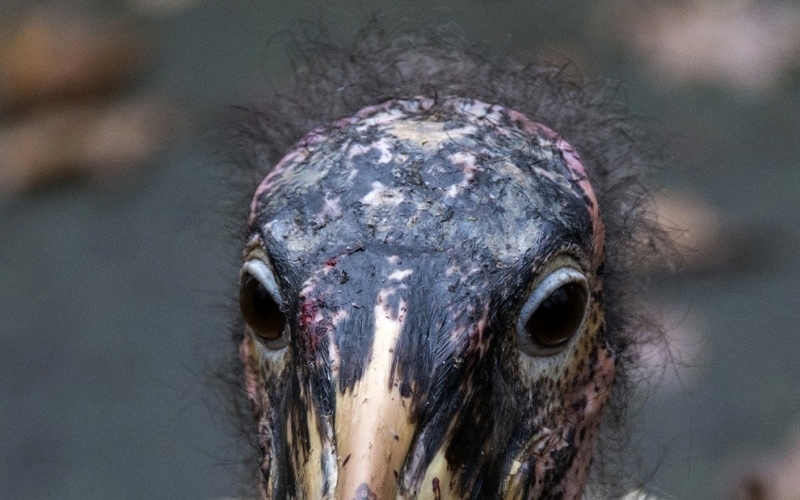 While the marabou is the only species of stork on the list, the entire vulture family can claim membership to the ugly club. Circling overhead in a flying “kettle” (unusual collective noun alert! ), the vultures we see aren’t too bad to look at. Their wings silhouette magnificently against the blue sky. 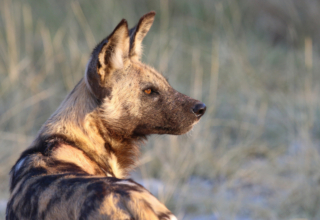 The illusion is broken when a few fly down to compete with the hyena for impala meat, revealing that though they have the wings of an eagle, they have the face of Freddy Kruger. It’s no surprise the bird’s hooked beak and hunched stature have inspired a marvel comic villain. “Their ugliness is efficient,” says Amos. (He says that about all the Ugly Five.) The curved beak is effective in ripping meat, according to our guide. The vulture’s ugliest feature, the featherless head and neck, is easy to keep clean after eating carrion. Logistically, it makes sense. Esthetically, it’s the stuff of nightmares. The warthog is another case of practicality over prettiness. These wild pigs are plagued with useful but unappealing warts on both sides of their faces, landing them firmly in the ugly crowd. The protuberances protect the faces of male warthogs when they fight, even if they do look like surgery gone wrong. They’re shaped like torpedoes with pig noses. Their bodies seem disproportionately stocky in comparison to their skinny legs and short necks. As we’re watching a mother and two babies, someone in our group steps on a twig and spooks them. We’re treated to the beautiful sight of warthog butts with tails straight up in the air. During an afternoon heading out from the Delta’s Moremi Crossing resort in a mokoro dug-out canoe, we cross paths with the last of the Ugly Five: wildebeest. Attractiveness is no problem for wildebeests. They’re practically blind. Because they’re one of the most populous safari animals — and not much to look at — many people don’t bother to photograph them, says Amos. As the unpretty cousin of the more elegant eland and gazelle, the wildebeest is a peculiar genetic mishmash. It has the head of a buffalo, body of an antelope and tail of a shaggy horse. Its elongated face is connected to a dirty-looking neck fringe and features a mouth shaped, and used, like a lawnmower. Murky gray bodies decorated with black and white markings add to the unkempt appearance. “It’s ugliness is no problem for mating, they’re practically blind,” Amos laughs. The only way to get to Moremi Crossing is by small plane, followed by a five-minute boat ride. 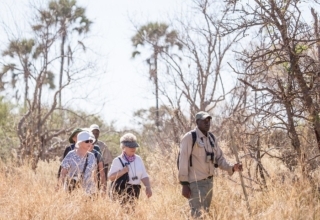 The guided cruise, bush walk and mokoro rides are part of all-inclusive packages for guests. 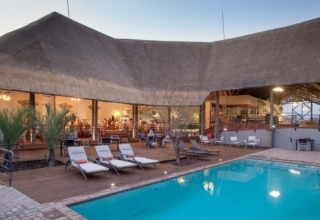 Accommodations include luxury tents, outdoor showers and nightly hippo serenades.